Valves, in a myriad of designs and sizes, are an integral part of piped systems that convey gases and liquids. They serve to control and regulate the flow of these substances in a safe, secure and prescribed manner. There are several types of valves that are in common use, including but not limited to the Gate, Ball and Butterfly valves. Maintaining such piped systems require the right type of lockout device that best suits the valve type, to ensure the safety of both the technicians and environment. It’s important to understand how these valves function, where and how they are used to help choose the right lockout device. These three valves among themselves make up a major share of the valves that find use in industrial settings. 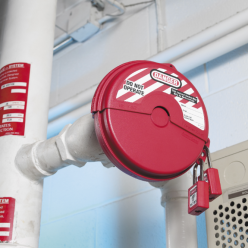 There are, however, design differences that serve specific applications and need special lockout devices from www.lockoutsafety.com to ensure safe maintenance. The Gate Valve – This valve functions very similar to a gate, a simple open/close movement, with the disc perpendicular to the direction of the flow. Available in Wedge, Knife, Parallel Slides and Pipeline slab designs, they serve a myriad of purposes. Discharge is usually complete with no residues left standing in the pipeline. The Ball Valve – A rotary ball design is the main component of these valves. Quick to respond, these valves are also easy to use and maintain, and are ideal for clean operations. The Butterfly Valve – Designed in the form of a disc or double or triple offset shafts that operate perpendicular to the flow direction, these valves ideally can control flow, but do leave some residual material in the pipes. Gate Wedge It is often used to either fully open up the pipe structure to enable free flow or completely cut off the flow when fully closed. 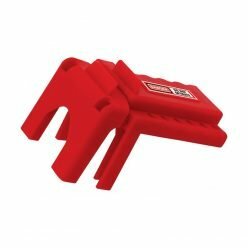 It can function well across different temperatures and pressures; however, is susceptible to seepages under very high pressures, unless lined with special seat inserts to ensure a snug seal. Gate valves are extensively used in large-scale systems that require uninterrupted bi-directional flow of liquids and gases, or uni-directional discharges at specific time intervals. Manually operated using round handles.Operations can be automated using electric actuators or pneumatic handles Metal (steel) with special seat material if required. Parallel Slide Parallel gates come with powered discs, separated using springs or spreading bar. More effective than wedges when responding to temperature changes.Used in steam systems, to discharge or shut down the flow of steam. High-temperature steam systems or those that convey saturated steam. Pipeline Slab Available as a solid slab or two-piece expandable wedge slabs, pipeline slabs again can totally shut off or allow bulk discharge of material via pipelines. Ideal for AP16D pipeline uses as well as AP16A wellheads. Knife Suited for larger piped networks, knife valves can be effectively used to regulate or throttle flow under low pressure, as opposed to general use of gate valves.With V-port and o-port options, these valves support single directional flow, and with resilient seat options, can offer drip-tight operations. Used in large piped systems handling slurries, pulp, semi-solids, powders in bulk, as well as effluents. Ball Ball valves have a relatively restricted resistance to temperature fluctuations, but fare well under moderate pressure differences. Most widely used for all applications. Round or level-handled manual operations, or automated operations via hydraulic/pneumatic systems. Metal with soft seats, Teflon, polymer or elastomeric seals.Soft seats are often used in lower temperature settings. Butterfly Butterfly valves find use only in low pressure and low temperature flow systems. Lightweight and short face-to-face dimension, they can be used both for isolation and regulating the flow of material using their characteristic quarter turn rotating action. Widely used for regulating large volumes of liquid and gaseous material.Disc designs are not advisable for hazardous, hydrocarbon or other inflammable substances. Valves can be operated using manual levers or energized hydraulic or pneumatic actuators Metal with metal or soft seats with polymer or elastomeric seals.Select styles have alternate metal and graphite layers sheets in the seal. Valves are usually constructed using a range of metals that support specific thermal and corrosion resistant properties that make them ideal for select industrial uses. Common construction materials usually are copper, bronze, graphite, tungsten, aluminum, brass, different types of stainless steel or fortified iron, as well as special alloys such as stellite, monel, colmonoy, hastelloy C, nickel with iron or bronze with aluminum or silicone. The specific design considerations of these valves require special lockout devices that offer fool-proof mechanism to inactivate pipe systems during maintenance or repair services. Valve lockout devices from brands such as Lockout Safety, Master Lock and Brady featured at www.lockoutsafety.com offer the best of security for technicians troubleshooting or maintaining such settings. For more specific information on valve lockout devices, contact Cathal McGrath from LockoutSafety.com, the author of this post at [email protected], or call 057 866 2162.